This classic style villa was built in 1970 and recently renovated to offer 9 attractive bedrooms and 4 bathrooms set over 4 floors. 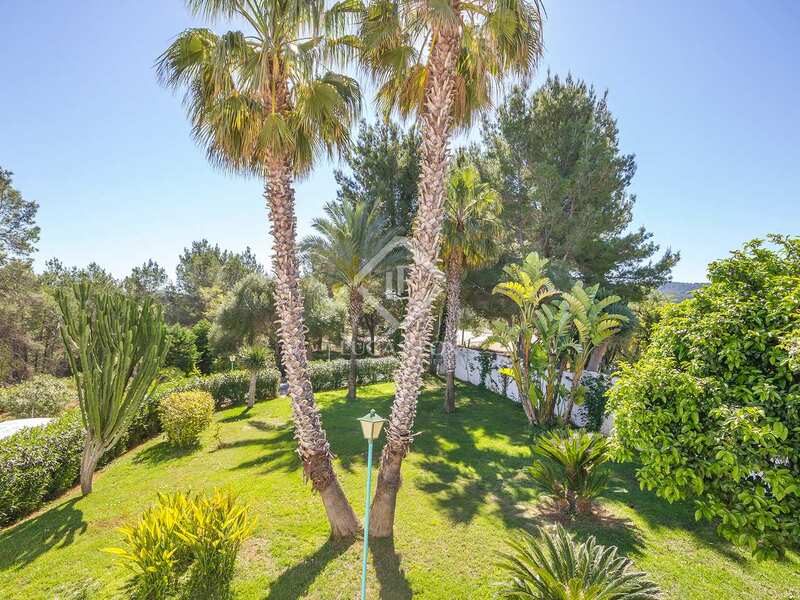 Outside the villa we find a nicely maintained, mature garden with a beautiful grapefruit tree and a large swimming pool. 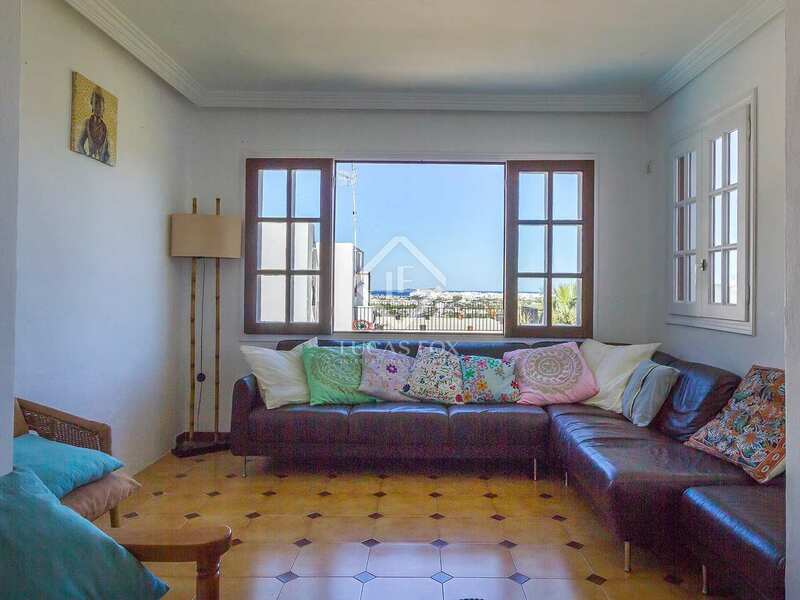 From the upper floors we can appreciate pretty views of the countryside and San Antonio bay, with wonderful sunsets. 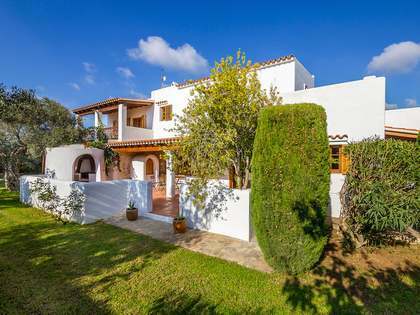 This would make a magnificent residence for a large family or an excellent investment opportunity. 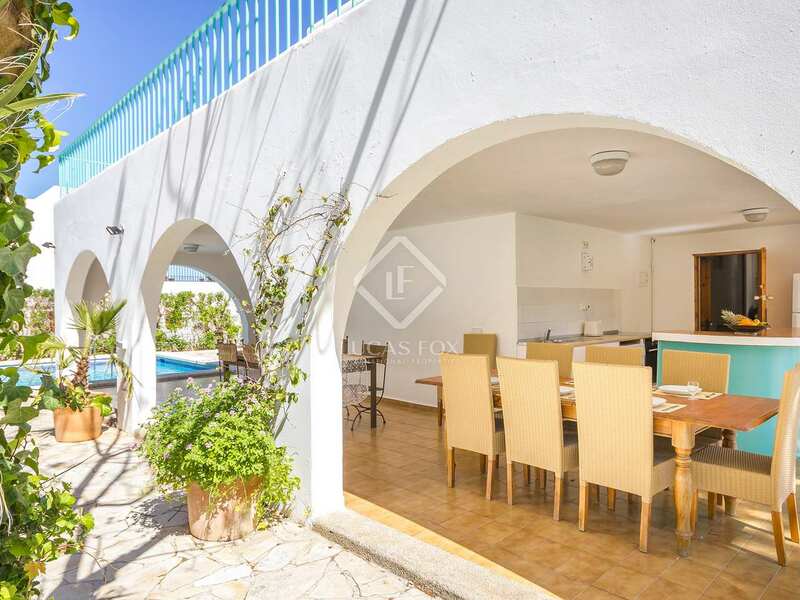 The villa has a rental licence and is a very popular short-term rental property. 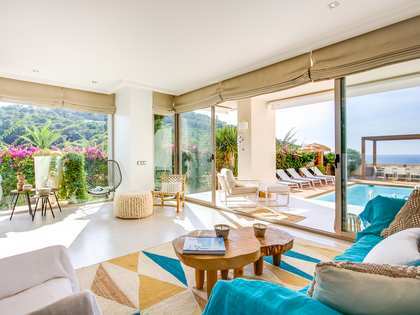 The current owner is prepared to provide any buyer with a guaranteed fixed annual rental premium for 5 years, and to continue running the rental business at the villa. 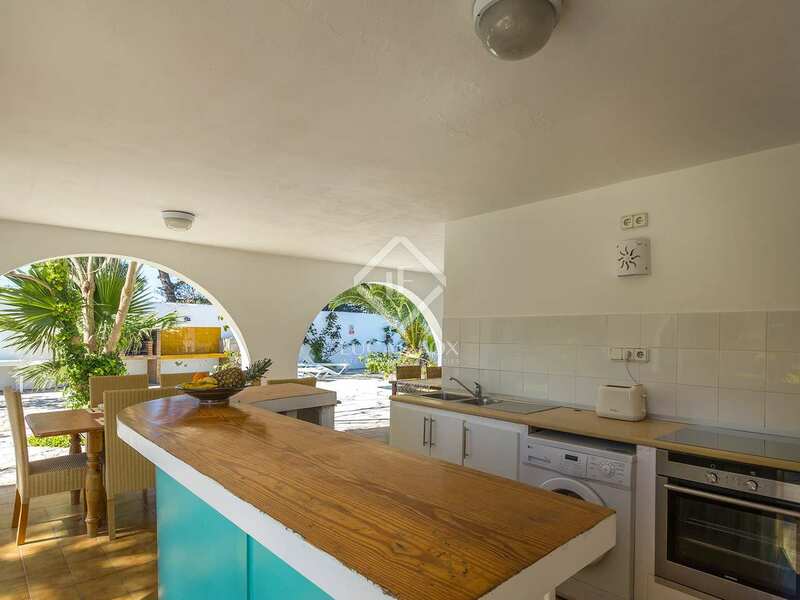 Offering the buyer the unmissable opportunity to acquire a stress-free short-term rental property with a guaranteed income. 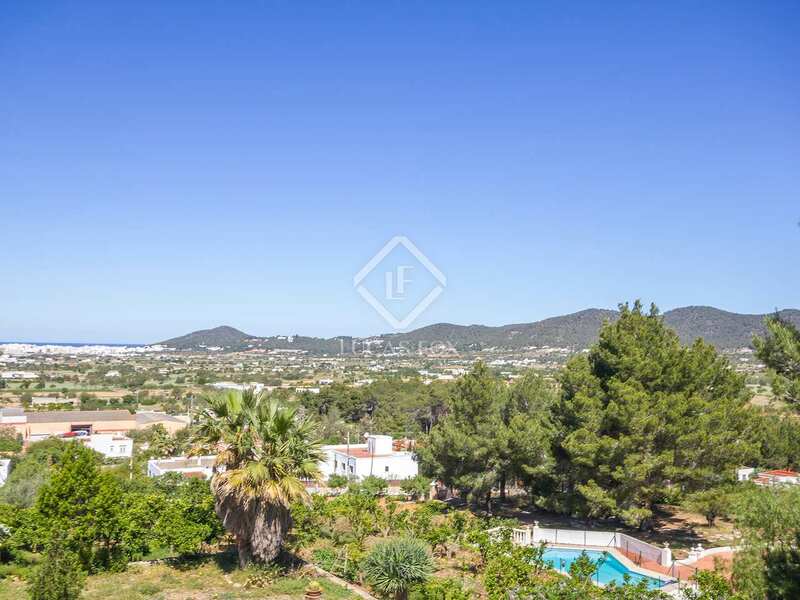 The villa is located in Can Tomás, a peaceful little residential community 5 minutes from San Antonio, 10 minutes from Ibiza Town and 20 minutes from the airport. 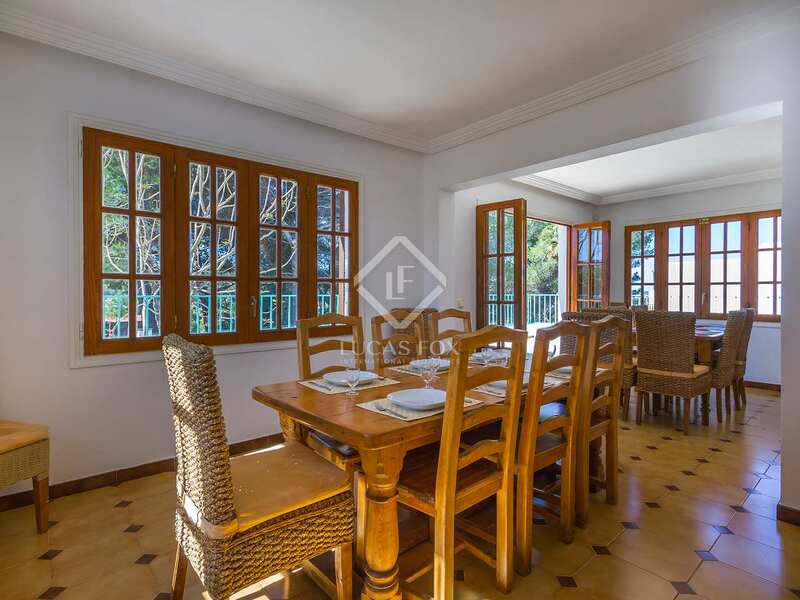 491m² set over 4 floors including lower ground floor, ground floor, and two upper floors, with bedrooms on all floors. 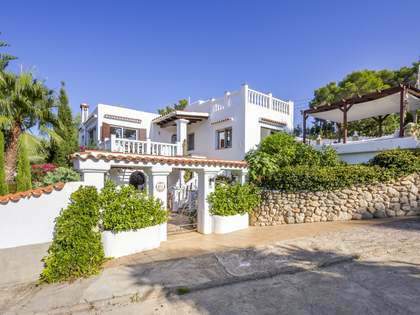 9 bedrooms and 4 bathrooms in total. 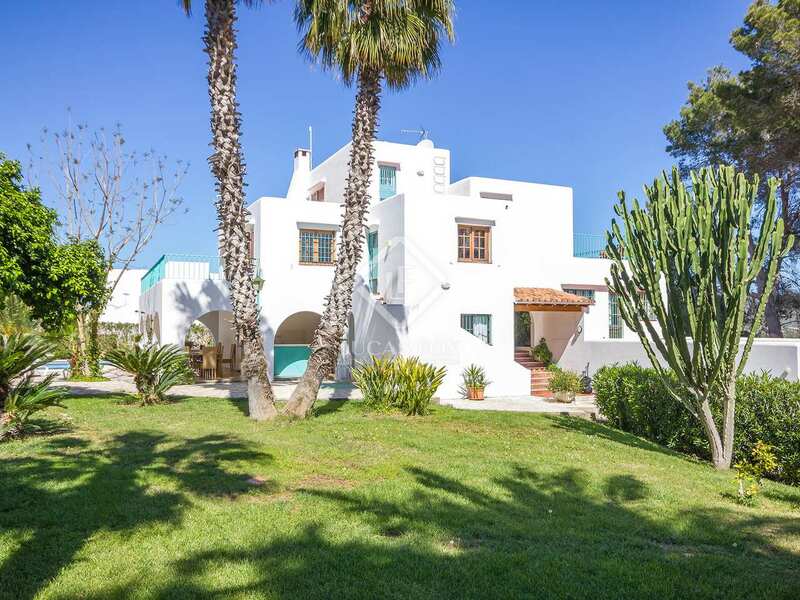 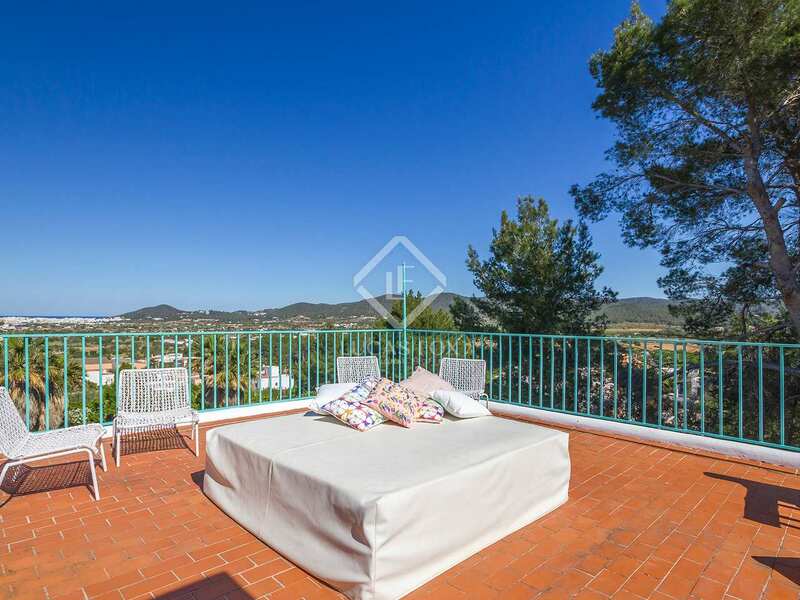 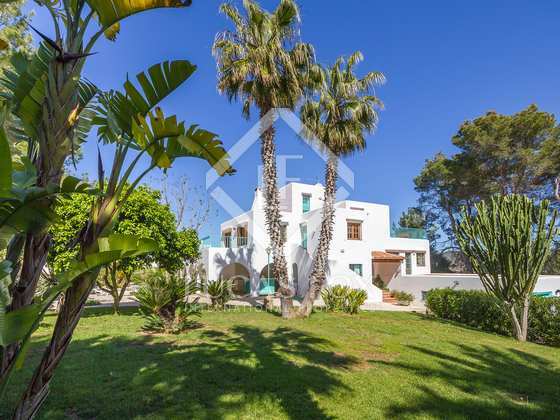 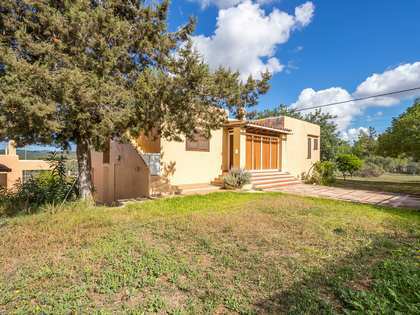 The villa is located in Can Tomás, a small residential area, just off the main road from Ibiza to San Antonio, with excellent transport links. 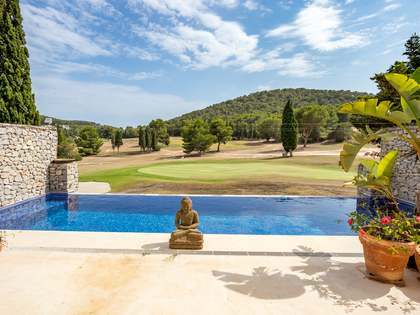 5 minutes from San Antonio, and 10 minutes from Ibiza Town, 20 minutes from the airport.